Title: Director of Immediate Response First Aid training and Supplies. Peter has been operating Immediate Response First Aid Training and Supplies since 2006. Peters' background includes working as an Industrial Paramedic and as a Professional Lifeguard on the Sunshine Coast in Queensland. 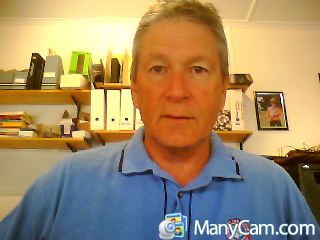 Peter has also been involved in adult education and training for over 20 years both in Australia and internationally. His passion lies with helping others to succeed in reaching their goals. Don has been a trainer and assessor since 2003 and has been mainly involved with Surf Lifesaving Queensland, training emergency services packages such as Applied First Aid, Advance Resus and Pain Management, to name just a few. He is a member of the Mooloolabah emergency response group, and spends mush of his spare time volunteering for various surf clubs on the Sunshine Coast. Don also spends time as a Life Guard on Morton Island operating rescue watercraft. As an experienced First Aid instructor, Tiffany combines her background in nursing and holistic medicine with her passion for teaching. Her enthusiasm for health and healing are conveyed in an interactive and dynamic way in all of her courses. Her priority as an instructor is to make first aid training accessible to all styles of learning, in a fun, relaxed and informative way. This ensures that every participant leaves with the knowledge and confidence to use their skills when needed. Tiffany's highest reward as an instructor is meeting great people and teaching them vital skills that they can use in everyday life, especially when it could potentially save the lives of those that they love. Title: Training officer for the South East Queensland region. Sally Coore has a dual Bachelors degree in Human Movement Studies and Education.She completed her degree in 2006 with Honors and two Deans Commendations for High Achievement at the University of Queensland. She is now embarking on her Research Masters in Health Education. Sally has been training First Aid for the past five years as well as teaching Health and Physical Education in school settings. Sally is a fully qualified, enthusiastic and friendly trainer who thoroughly enjoys working for Immediate Response First Aid. Sally approaches each of her first aid training courses with passion and ensures that every participant reaches their full learning potential. 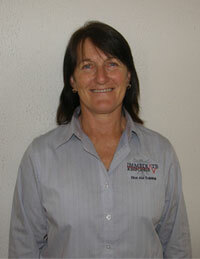 Louise is a First Aid and pre hospital care provider, trainer and consultant with over 15 years of experience. Louise has provided first aid services in a range of industries including construction, and sports clubs. As a First Responder with the Queensland Ambulance Service, with over 1000 hours on duty each year, you can be sure that her knowledge and skills are current, and you will receive the best practice available. Her mission is to ensure that every individual leaves the training, confident in their ability to handle injuries and illness, until professional help arrives. Training First Aid allows me to be part of a valuable community service. My qualifications include a Business Degree and 7 years industry experience, but I believe my practical First Aid skills are much more important in relating to my students. These basic skills are used constantly in raising my young family & even saved the life of my son in a near drowning accident. My experience includes training for several first aid companies and I have also previously run my own contract training business. Chris is a paramedic and medical student who has been a first aid trainer since 2006. He has an Honours Bachelor of Science in Paramedicine from the University of Toronto and a Master of Science in Disaster Medicine and Management from Philadelphia University. In addition to working on the ambulance, he has previously held positions as a paramedic educator and a prehospital cardiac arrest researcher. Chris enjoys teaching for Immediate Response First Aid and makes it his mission to provide an enjoyable day that leaves students with the essential skills needed to help save a life. Title: Training officer for Gippsland, Victoria . A resident of Traralgon all my life- 55years. Married with one daughter and two grandchildren. I have been a jack of all trades throughout my working life, from owning three small business, to driving buses, working with children and adults with disabilities, swim teacher, and lifeguard. I was a Senior Manager in the Leisure Industry for over 20 years working as a swim teacher, first aid and lifeguard trainer. I am qualified to train in First aid, Emergency Asthma Management and Anaphylaxis Management. I have a Diploma in Training and Business and I love what I do. Title: Training officer for the NSW Central Coast and Hunter regions. Graham has twenty years’ experience as a Youth Officer with the Department of Juvenile Justice, which came to an abrupt end following an injury at the World Masters Games in October 2009. Retraining was essential, between surgery, completing the Diploma of Youth Work and Cert IV in Training and Assessment. Possessing proven skills in motivating and planning outdoor education programs, Graham likes to offer challenge and excitement for all participants. Currently employed as a casual Teachers Aid at Brisbane Waters College, Graham coordinates outdoors programs for students with disabilities. As an active Surf Life Saver, Duke of Edinburgh’s Award Coordinator, conservationist, and, devoted family man and grandfather, Macmasters Beach, provides the ideal setting and lifestyle for this former country boy. Amanda has worked in the prehospital care environment for over 12 years.She started her career in Edmonton, Alberta Canada, where she completed her EMT with the Northern Alberta Institute of Technology (N.A.I.T).She worked as an EMT in rural Alberta for a few months after finishing school, in conjunction to completing her Bachelor of Science at the University of Alberta (U of A). Shortly after graduating at the University of Alberta, Amanda was hired on as an EMT with the City of Edmonton.She worked as an EMT for two years in the busy urban service.She was accepted into N.A.I.T and completed her honors diploma in Paramedicine in 2004. Amanda has had an active ten years working with Alberta Health Services (formally the City of Edmonton).She has had the opportunity to mentor new staff, precept paramedic students, supervise staff, and more recently project work. Before coming to Australia in November 2011, Amanda was an integral team member of a referral project for the last 18 months.The project was composed of three phases: using an assessment tool to identify at risk seniors and refer them to appropriate care; referring all patients who may require some additional support systems despite their age; finally establishing a referral process accessible to all practitioners in the entire province. Amanda’s academic interests include the use of simulation and its efficacy in the prehospital learning environment. Matthew is a critical care paramedic and physician assistant from the United States who has worked primarily in emergency healthcare for most of his life. He began his career as an emergency medical technician in the Baltimore/Washington D.C. metro area. During his career there, he advanced to the paramedic level and also completed his Bachelors of Science in Emergency Health Services at the University of Maryland, Baltimore County. After several years in that metro area, he moved to the Richmond, Virginia area and progressed to the critical care level pursuing ground based transport and hospital based medicine. 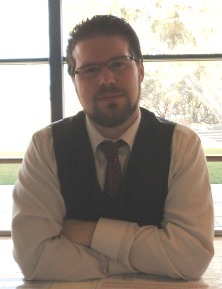 In the past few years, Matthew made the further advancement to the physician assistant (PA-C) level, which is a mid-level practitioner in the United States capable of independent care including prescriptive authority, diagnosis and treatment plans, advance procedures such as suturing and central access, and first assistance in surgery. During this time, he completed his Masters in Medical Science from Saint Francis University in Pennsylvania with a focus in clinical medicine and research in both preventative health strategies and pharmaceutical efficacy. Before coming to Australia in 2011, Matthew's primary area of focus was emergency medicine in a hospital system in Maryland, but also with experience in inpatient medicine and general surgery. Finally, he is currently a lecturer with Charles Sturt University for their paramedic program and enjoys teaching the first aid and additional training courses in his home area now of Bathurst. Rachael is a Trainer and Assessor specialising in First Aid. Rachael has previously been a Swim Instructor and Life Guard in North Queensland, and been faced with many first aid incidents in and out of the aquatic environment. She is passionate about educating everyone about the importance of knowing your first aid, as it’s a life skill that she believes everyone should be trained in. 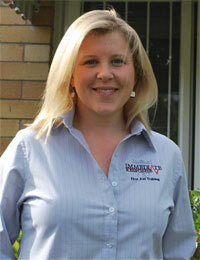 Rachel always looks forward to providing you with the skills and knowledge of first aid.